From November 1945 until October 1946, the International Military Tribunal indicted and prosecuted Nazi leaders for their roles in the Holocaust and other crimes against humanity at the Nuremberg Trials. Eleven of the 24 men who were tried as major war criminals were given the death penalty. Seven of them — Konstantin von Neurath, Erich Raeder, Karl Dönitz, Walther Funk, Albert Speer, Baldur von Schirach, and Rudolf Hess (seen right) — were given prison sentences to be completed at the notorious Spandau Prison. Built in 1876 along Wilhelmstrasse in West Berlin, Spandau Prison originally served as a Prussian military detention center and was later used to hold civilian and political prisoners. 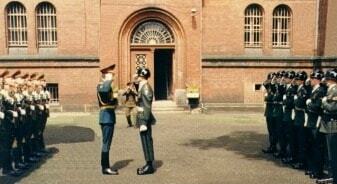 On July 18, 1947, the prison took on a new role as the holding place of the seven high-ranking Third Reich officials. The operation was run by the Kommandatura, the post-war governing body of Berlin with the participation of the U.S., U.K., USSR and France. Four of the prisoners were released between 1954 and 1957; Speer and von Schirach were set free in 1966. 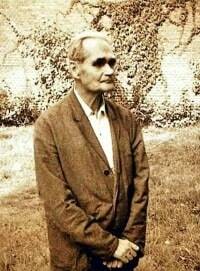 That left Rudolf Hess as the sole occupant in a facility designed to hold 600 prisoners. Hess allegedly committed suicide on August 17, 1987 at the age of 93, and the prison was razed weeks later, to be replaced by a parking lot and shopping center. Cecil B. Lyon, the U.S. Deputy Commandant in Berlin from 1951-1954, talked about the personalities of some of the Nazi inmates in an interview with John Bovey in October 1998. Serving as Legal Advisor to the U.S. Mission in West Berlin from 1963-1967, Martin Van Heuven was interviewed by Charles Stuart Kennedy in January 2003. G. Jonathan Greenwald, Legal Advisor from 1973-1977, was interviewed by Raymond Ewing in March 1998. Brandon H. Grove, also Legal Advisor 1965-1969, reflected on the oddity of attending formal prison luncheons in an interview with Thomas Stern in November 1994. To read more about World War II, the Cold War, Berlin or prisoners, please follow the links. Spandau is interesting. Each month it would be under the charge of one of the four powers, and when the Russians were in charge the prisoners lost weight. When we were in charge they gained weight. During the month we were in charge the Commandant was supposed to go out and make a tour; he did it once or twice but then he got me to do it, most of the time. It was fascinating because in those days in Spandau were Admiral Doenitz; Walter Funk, the Nazi Economic Minister; Admiral Raeder, Commander-in- Chief of the German Navy; von Neurath, who had been Foreign Minister; von Shirach, Hitler’s Youth leader; Albert Speer, and Rudolph Hess, last but not least. They were, of course, completely cut off from the world; they weren’t allowed any newspapers; they weren’t allowed any books to speak of; and nobody was supposed to speak to them; they weren’t supposed to hear anything. Each one lived in a little cell about 4 feet by 8 feet, but it was extraordinary how each of the inmates had impressed on that cell his character. The cell of Hess, for example, was all higgledy-piggledy. The bed was never made, and clothes were thrown on the floor; it was a mess. Admiral Doenitz’s cell was all military precision, brushes lined up carefully just so, his blanket folded very correctly, very precisely. The only cell that had a human touch was that of Speer. In Speer’s he had a picture of his family. He also had a drawing of a house and I asked him what that was. He said, “That’s my dream house.” He was an architect, you will recall. He said, “I’m going to build that when I get out of here.” And I thought to myself, “Poor devil, you’re never going to get out of here,” but he did. He lived not only to get out but long enough to build his dream house and to write two books. I thought in normal life I would have liked Speer. Anyway, it was really ridiculous, as you say, having that huge prison for just these seven inmates but we never could get the Russians to put them in a smaller place. We had to have a platoon out there each month we were in charge. They had any number of guards and cooks and it was really, I thought, a terrible waste. The Russians were very difficult. If somebody got ill we had a terrible time trying to get permission to take them out and put them in a hospital. Eventually they yielded but they were very difficult. As you know, one by one the prisoners either died or were let out having served their long terms, except Hess who was living there alone up until about a year ago when he died. Spandau was a huge prison complex built in the mid –nineteenth century that housed three prisoners: Speer, von Schirach, and Hess. It was one of the two remaining Quadripartite operations [run by the U.S., U.K., USSR and France] after the Soviets walked out of the Kommandatura . One was the allied air control system. The other was the prison. There were four governors of the prison. They ran the place, each with their set of wardens who pulled duty the way wardens do in a prison. The exterior guard was mounted each month by allied and Russian troops in a determined succession. 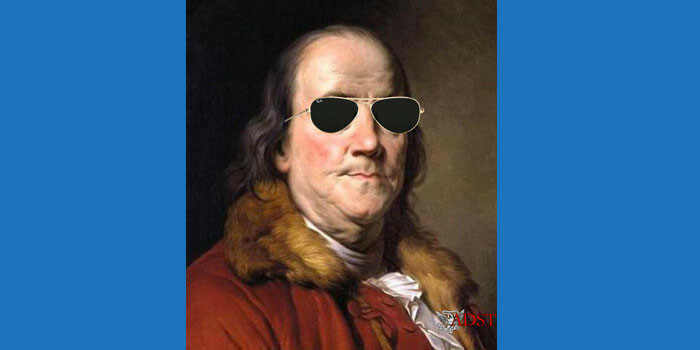 The U.S. always had December. We always took it from the Russians, who had it in November. We handed it over to the British, who always had it in January. They had to pretty much devote a company of soldiers to man all the watchtowers and the exterior guard. They basically stood guard. In a way there wasn’t much to do about these prisoners because there was a certain routine. But on occasion there were issues. One was when von Schirach (seen right) developed eye problems and needed surgery which could not be performed in the prison. So he had to be taken out of prison. That required Moscow’s approval, which eventually was forthcoming. There were repeated allied attempts, in my days and subsequently, to close the place and let Hess out after the other two were released. That always ran into a Soviet roadblock. But the whole business of running that prison and agreeing on the regime had plenty of administrative angles that did require the attention of the U.S. prison governor, who was a lieutenant colonel and who reported to me. My role was not to get involved in those details, but to be aware of them. But I did get involved directly as the action officer whenever something unusual had to happen, like taking von Schirach out, or when the time came to release the other two and leaving Hess in there. It was a midnight operation. It was sort of eerie….The expiration of the sentence was at midnight on September 30, 1966. It became a major press event. 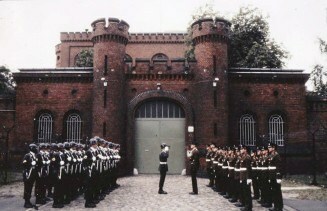 Spandau prison was in the British sector, so the British had the chore of maintaining the law and order there. They kept tight control. The Soviets refused to let the two prisoners out a minute earlier. But there was the whole issue of how do you let these men walk out? Hand them their stuff back, put them in transportation, and get them out of Berlin? ….I was never tempted to conduct conversations with any of [the prisoners]. Hess was pretty much a recluse and probably wouldn’t have talked anyway. 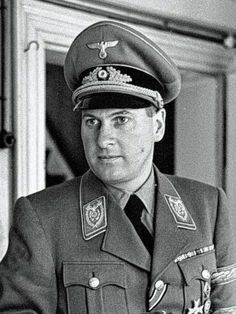 Von Schirach was a cantankerous man. Speer, on the other hand, was a nice person, but I didn’t see it as my role to engage Speer in historical discussion. He was a prisoner. My role was to see that the prison was run right. There was an officers’ mess in the building next to the prison. The directors, who met daily, ate there. Once a week, they would invite guests. I think it was on Thursdays. I could always come out and have lunch. But it was the prison director’s prerogative and mine to invite guests to come out on Thursdays. So in American months we would have chicken or steak. In Russian months we would have the Russian food and in the French months the French would come up with French food. It was all cooked by the same German cooks. It was not haute cuisine but it was pretty different from month to month. It was also the only place where allied personnel could meet with live Russians in Berlin. 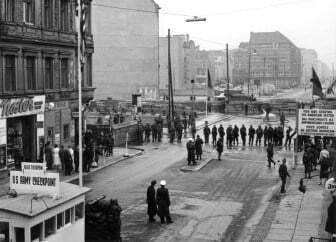 Outside of Berlin, on the other side of the Glienecke Bridge in Karlshorst, were the headquarters of the Group Soviet Forces in Germany. The allied military missions had their headquarters there. That was the other place where we had a military interface with the Russians. We also had contact at the air control center, but this was basically an air controller operation. There was always the possibility that someone could use Spandau as a place to have a political discussion with the Soviets. 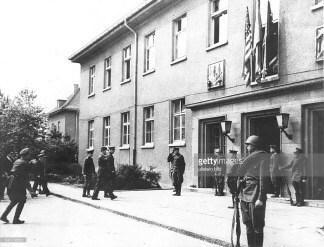 Typically, they would bring out uniformed folks from Karlshorst. On occasion there would be a civilian and then the puzzle was, who is he, why is he here, what does he want? Most of the time guests would just come out and meet 20 or so people at lunch and for some quadripartite conviviality in a rather forced atmosphere. There was always plenty to drink on those occasions. I guess nearly 10 percent of my time in my four Berlin years went into the issues related to the administration of Spandau. Life under military occupation sometimes bordered on surrealism. 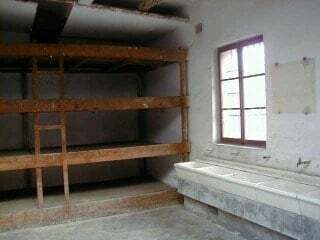 The decades-long Allied involvement in running Spandau Prison, a vast compound maintained solely for three Nazi prisoners, Rudolf Hess, Albert Speer, and Baldur von Schirach, was the most expensive and bizarre incarceration anywhere. Eventually, Hess was alone. Allied authorities responsible for managing the prison met daily during the week for a luncheon there. Allied guests, such as myself and my wife would occasionally be invited to a more formal monthly luncheon. It was a form of theatre noir to have a four-course lunch accompanied by French wines served in the prison commandants’ dining room while Rudolf Hess a few yards away reading in his cell, or working in the garden. Each country tried to outdo the other in hosting a great meal. The changing of the guard each month was an extraordinary sight, especially when the Americans handed off to the Soviets. The first time we came I thought we were on a different planet. GREENWALD: Well, one aspect of the Quadripartite Agreement was that it allowed the Soviet Union to establish a substantial presence in the Western sectors of Berlin for the first time. 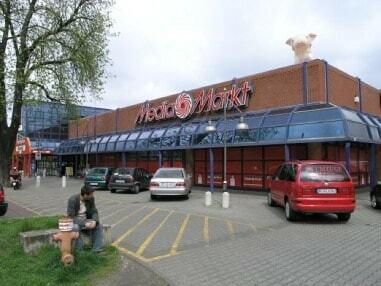 There had been always a certain Soviet presence in West Berlin. There were several remaining Quadripartite institutions. 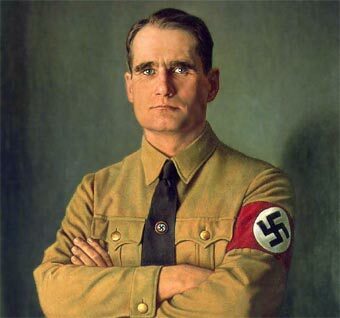 Most significantly there was Spandau Prison, which still had at that time one prisoner, Rudolf Hess, of those who had been sentenced to lengthy prison terms by the Nuremberg Tribunal. ….Yes, it was a very macabre situation because you had a large, very large building which had been a prison in Berlin in the 19th century holding hundreds of prisoners, which was operated solely for one very old, at that time 80ish-year-old man (Hess is seen in prison garden at right), including several dozen fully armed guards of any one of the four powers which was in control of the prison in a given month and a group of warders and prison guards, who were civilians, who were for the most part professional prison people. In the United States’ case, we recruited a number of professional prison guards from the U.S. prison system, and [the job of] all of these people and organization was to take care of one man, who at that time was still reasonably physically fit and seemed to be reasonably mentally fit. I would see him about every second or every third month, because one of the jobs of the Legal Advisors was to supervise the operation of Spandau Prison. The prison was a Quadripartite organization. There were four warders, one from each of the four powers, but the next instance of authority over the prison was the Legal Advisors, and that meant the Legal Committee of the American, British and French Legal Advisors. ….The Soviets walked out of the Allied Kommandatura in 1948….This, of course, created an anomaly since there was a higher Quadripartite body which was supposed to supervise the work of Spandau Prison, and there was no Soviet member. So in effect there was an ad hoc Soviet member merely for the purposes of supervising the prison, and that was a member of the Soviet embassy in East Berlin, who would come to events and affairs at the prison, primarily the changing-of-the-guard ceremonies. We never admitted him to our regular Legal Advisors meetings, because that would be regarded as a violation of practices and procedures in the operation of Berlin. The Soviets would have had to come back entirely into the Kommandatura or not at all. The commanding general, British, American, French or Soviet during the time of their respective authority for the prison, would inspect the prison one day during the three-month period. The Legal Advisors were expected to accompany him on his rounds. The major part of that event, of course, was to walk in and speak to the prisoner, and the commanding general would always ask him whether he had any complaints, whether his health was being looked after and so forth, and that was about the extent of the conversation. It was a very routine thing and did follow the procedure with almost no change. One had the chance to put other questions to Hess. I could never think of what to say to the man, knowing his history, knowing the history of the regime that he worked for loyally. One felt simply unable to think of normal things to say. I couldn’t ask him about the weather or about football or any of those normal icebreakers. So it was always a matter of embarrassed silences, and one always wondered what this man had done and what he had seen and even how he had become what he was, but he was always a mystery to me and I never had a meaningful conversation with him, but I consider the experience in and about Spandau Prison one of the more macabre episodes in my time in Berlin, in fact my whole career. ….There was a routine schedule of family visits. His son and his wife could visit. They exchanged letters with him. For many years he had not written to them. He had chosen not to see them and not to write to them, but that period of self-imposed isolation had ended some years before my time in Berlin. One of the tasks that the Legal Advisors were supposed to exercise was to monitor his correspondence. I confess we did that in a very loose way. It was not something that we took terribly seriously, because clearly the man had the right to exchange his private notes with his family, and we felt that way. ….He had a certain number of hours a day that he could go out and in fact more than I think he ever really wanted to. There was really very little constraint in the years of his old age. Had he wanted to spend more time in the garden, he could have and, in fact, he did have some garden projects, but he wasn’t a gardener. I think there were some passages to that effect in Speer’s memoirs. ….One of the constant questions was what would happen to Spandau Prison and what would happen to the remains of Hess upon his death. In the first instance the Allies believed that it would be appropriate to avoid the entire issue by releasing Hess. 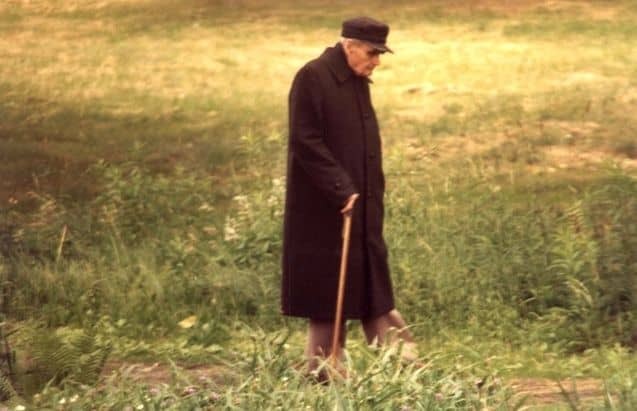 The feeling was that he was an old, ill man who had not that much more time to live and certainly not any time to be active as a politician any longer. He was not a threat, and it would be better and more humanitarian simply to release him. There had always been a feeling that the Hess sentence, in fact, at Nuremberg, had been something of a compromise, that the Soviet judge had wished to impose the death sentence and the Allied judges had felt that Hess, since he had left Germany in 1941, had been out of the power structure in the years of the very worst crimes of the Nazi period. Therefore, he might have been more appropriately sentenced to a number of years in prison but not a life sentence. The feeling was that he could be, should be released. I always felt somewhat ambiguously about it. I could understand the Soviet belief that Hess was, in fact, was truly a major war criminal and that he should be punished to the full severity of the sentence he was given at Nuremberg, but to me it always seemed the cruelest thing that could have been done to Hess would have been to release him, because as he lived in Spandau Prison, while it was in some ways a terribly isolated existence, he could always maintain the illusion or belief, delusion, that he was still a very important person and that his movement was still a very important movement. Why else would four major powers dance about him in such a remarkable fashion? If he had been released, he would have seen that time and history and Germany had passed him by. In many ways I think that would have been a crueler end to his life than the fact that he was able to continue to live in prison with four countries taking care of him as they did. As you say, there were considerable efforts to negotiate some type of agreed scenario. If he was to stay in prison for the rest of his life, what would happen when he died? Those negotiations, at least during the time I was there, never went very far. The Soviets, I think, suspected some tricks, and they really never wanted to reach very serious agreements. We always suspected that their hope was that somehow Spandau Prison would become a permanent Quadripartite entity, that even when there was no prisoner the Soviets would see it useful to maintain some substantial element of their presence in the Western sectors of Berlin, and that they therefore weren’t interested in an orderly disposition of the prison.